Here at BootsnAll, we’ve been trying to inspire and help people plan round the world (RTW) trips for over a decade now. 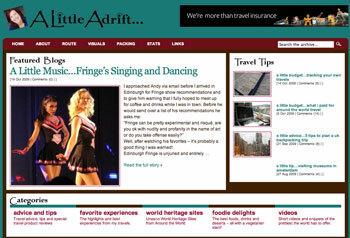 We also host thousands of travel blogs ourselves, with many of them being RTW journals and sites. You might already realize that there are so many thousands of travel blogs out there that finding the best of the best is just about impossible, but that hasn’t stopped us from at least trying to point out some excellent sites that we consider to be among the finest. 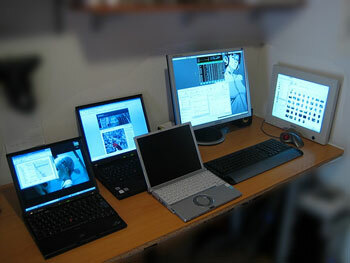 First off, what makes a great travel blog? Use lots of photos, on almost everything. Make sure your site is easy to navigate, so people who enter on any one post can easily find posts on the same topic or different topics. Create an “About Me” page that is easy to find (If random readers can’t tell if you are a 22-year-old female backpacker or a 51-year-old man on a temporary retirement, it’s much harder to feel a connection with you). Use lots of photos (seriously). This started out as a standard RTW blog written by a guy in Virginia, USA, who spent 20 months on the road, but now it’s being expanded into a helpful resource for independent travelers. It’s nicely designed and easy to read and navigate, but the content itself is the key. His article describing the actual costs of a RTW trip is a great example of the practical advice he dispenses. And it seems he is looking to expand through outside collaborators now too, so check the site if you are interested. If you follow the online travel and social media community, chances are you’ve heard of Nomadic Matt. He’s another who hit the road a few years back and has barely slowed down since. His site is filled with really helpful tips, and he isn’t afraid to be opinionated, which is refreshing. On his site you might miss his actual blog, but it’s worth a look, especially for solid entries like this recent post called Everyone Say I’m Running Away. Gary Arndt brings a fresh perspective to his site. He’s an entrepreneur who has evidently done well enough to afford a life more or less on the road since 2007. Most RTW blogs concentrate on hostel dorms and barely-existent budgets, so it’s nice to read posts by someone who isn’t forced to travel as a backpacker. Gary is also a good writer who has lately become a key player in the travel social media community, including as the host of a new weekly podcast called This Week in Travel. His site also features a stream of great photographs, so it has the distinction of also making our Best Photo Blogs list. This site is the work of a 25-year-old Florida native who says she had a “quarter-life crisis” and decided to hit the road in 2008. She’s a good writer who does an excellent job organizing things so the site is easy to navigate, and there are always plenty of great photos too. 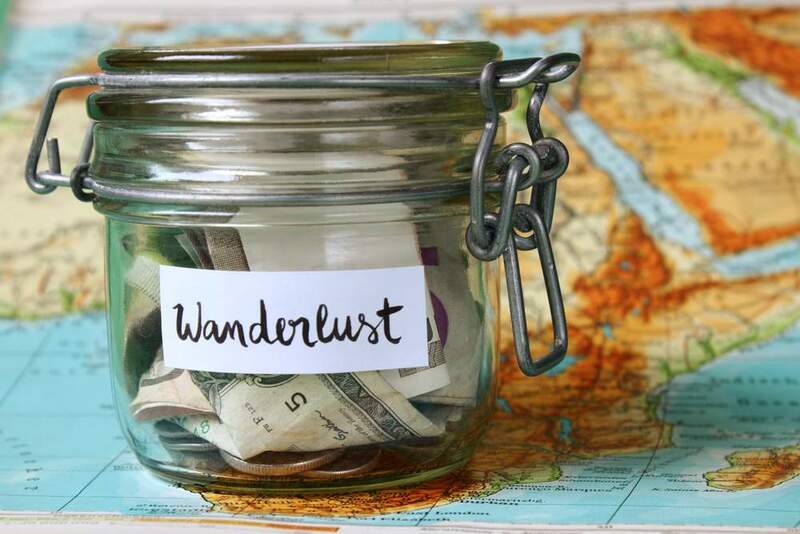 She also puts together articles that are meant for a broader audience, including her budget tips and declaration that RTW travel can be cheaper than you might realize. Sherry Ott was in her 30s when she decided the corporate world just wasn’t for her anymore. She traveled around for around two years and has been based in Vietnam for about a year, teaching English. Now she’s on the road again, but she’ll continue to write and try to help others break away from the corporate grind. If you are unsure whether you can or should hit the road yourself, have a look at her section on taking a career break. You already know this guy, Matt, from his amazingly inspirational and successful videos of him doing the same goofy dance in some of the most picturesque places on earth. His first trip and video got him so much attention that Stride Gum sponsored a second one and then a third one. He’s now been to 80 countries, at last count, and does actually have a proper travel blog/journal on his site, in addition to the videos and such. Some colleagues and I discovered this one a few months ago, and we were immediately hooked. It’s written by a pair of “amateur foodie traveloguers” who left Los Angeles in 2008 for a nomadic lifestyle, and the moment the page loads you’ll see they also have a definite sense of style. Once you get past that cool retro look and font you’ll notice that the site is filled with great photos and stories on the food and culture everywhere they go. Check out their observations and frustrations with Morocco as a good example. Brian described his mission as “One guy’s attempt to travel as far around the world as he cheaply can” and he’s another who has made a name for himself in the online travel social media circles. 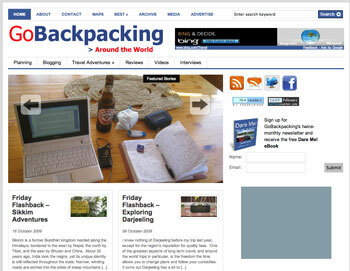 It’s not so much a travel journal anymore as it is a useful hub for travel information and advice. He’s recently put together an ebook, in which he’s compiled some of his best stuff. One great example of his style is his article discussing just how much can you save by staying in hostels instead of hotels. This is one of the busiest travel blogs hosted here at BootsnAll, and it should be inspirational to anyone thinking about long-term travel with kids. 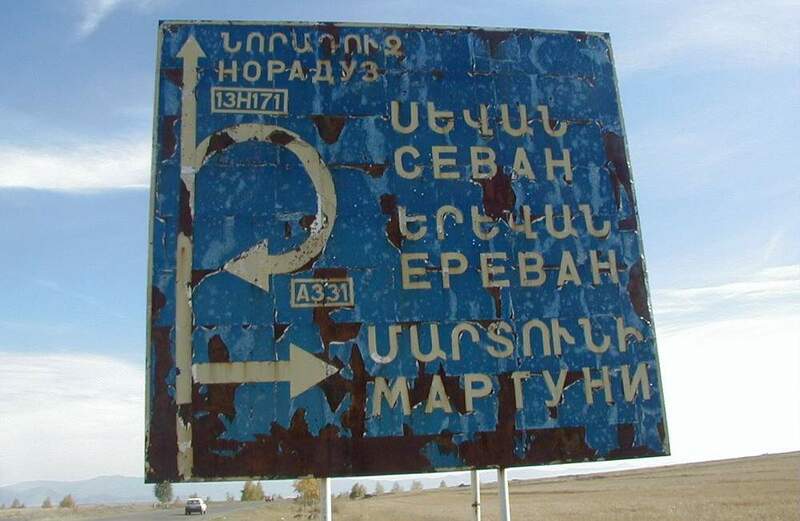 In their own words, this is about “A Kiwi family with eight kids and a grandpa chronicle their pilgrimage from Singapore to London and beyond…..overland all the way.” You don’t see many large families on the road, so it’s interesting to read about some of the unique challenges, like this post from Bulgaria. Here’s another one that is new to us, but caught our eye quickly. It’s written by a couple who obviously have a great sense of visual style. 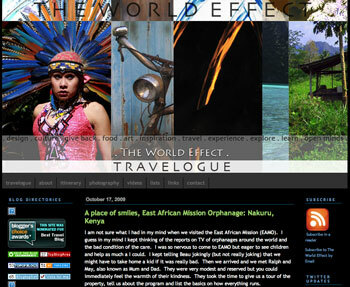 Right now they are in Africa and they have posted some of the finest pictures we’ve seen on a travel blog. An excellent example is this fairly recent post from Serengeti National Park. This site is also written by a couple who thought about dropping out of the rat race, and then went ahead and did it. They’ve been a lot of places, and this one isn’t the easiest to navigate, but it’s filled with good writing and useful information. Folks thinking about going to Southeast Asia might especially appreciate the way they break down their exact expenses. Particularly interesting is this post called Wish I Knew It Last Month, where they collect their best tips and insights from the road, after plenty of experience. 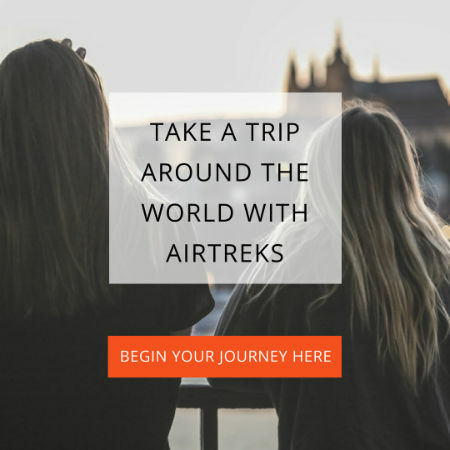 This is another of our absolute favorites, and it looks so slick and professionally done that we originally forgot it still qualifies as a RTW travel blog. 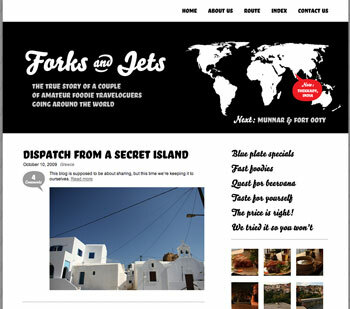 It’s put together by a couple who have a knack for both writing and photography, as well as web design itself. They’ve evidently been on the road since the end of 2006, so their list of destination articles is impressive. And instead of just sharing their impressions with their readers, they also do a great job of sharing the practical details they wish they’d known before they got there, as a service to those who will visit later. People who like to travel with a bit of tech equipment should check out their extensive list of gear, along with explanations of why they have each item. 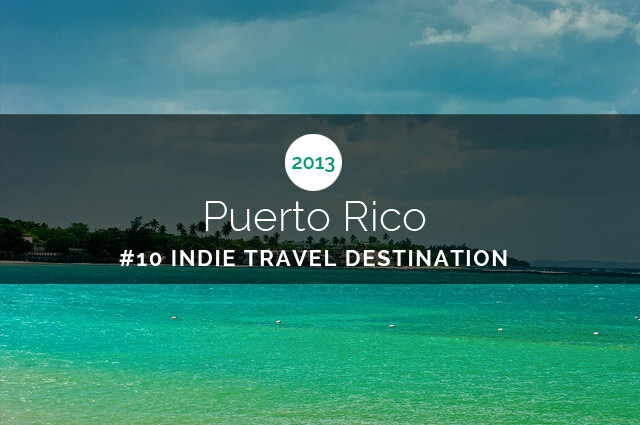 This one isn’t a RTW blog in the traditional sense, but we’ll forgive that since it’s part of our own travel network. It’s a site that is loaded with RTW-specific advice and resources, and even though it’s not as active as it once was, you’ll still find some interesting stuff here. In particular you might be interested in Places You Should See on your RTW Trip and Not So Obvious Reasons to Go on a RTW trip. Do you know of any great RTW travel blogs that we didn’t include? There are lots of fantastic sites out there, so if you know of a site that deals with circling the globe, let us know in the comments.